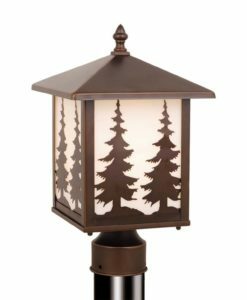 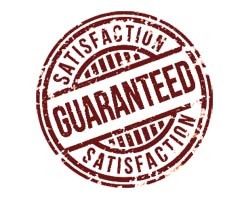 Whitebark 11″ Outdoor Post Light is finished in a Olde World Patina. 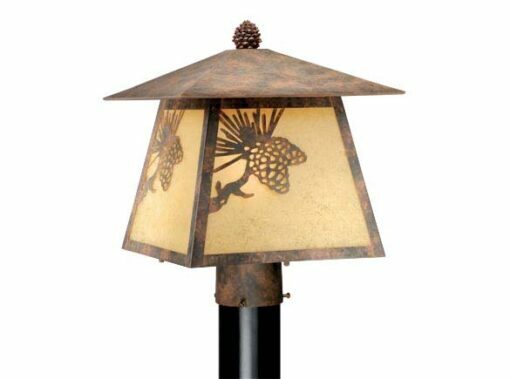 Rust Scavo Glass surrounded by detailed iron work highlighted by pine cones. 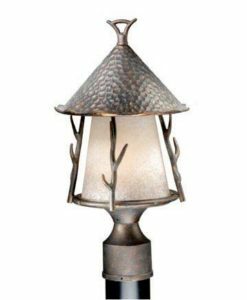 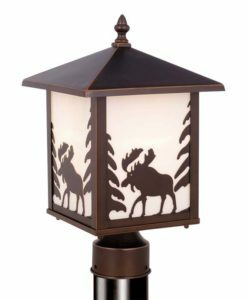 What better way to greet guests to your cabin or lodge than with a rustic post light.